Do you sometimes feel overwhelmed by the tasks to be performed in the office? You have to think about objects you need and it will be better to keep these materials on your desk rather than in a drawer. Similarly, you can place books, forms or folders you use most often on shelves within reach hand. On your desktop, place your documents in folders labeled or color in bunks. Documents on the hard drive of your computer will be similarly organized in folders according to a thematic classification. 2 - Make lists of things to do or "To Do List"
It is important to view the tasks you must perform. The human mind is such that it gives him more time for work and he will! It is therefore important to structure your thinking and your time. With a list of tasks that appear as milestones to be achieved is a good thing. Give yourself a goal for the day, week and have fun then scratch the task performed and see the progress of your work. It is also preferable to prepare the list of things to do before leaving the day before. So when you arrive at the office, you do not have to think straight and you start your business. It is important to write on your hand your tasks on a sheet of paper (or an erasable board) because the small pleasure that we have by deleting the task is not the same when you delete a line on a computer document ! We must prioritize our work. A simple classification criterion to set up is to ask for each task if it is important and urgent. It deals primarily with the important and urgent tasks, then the urgent unimportant. Third, we will treat non-urgent and important tasks. As for the tasks that are not important and not urgent, does it actually perform? Some are the other evening and the morning, so the effectiveness depends on the hours in the day. If you know yourself well, use your hours are most important to work on the important things with your full concentration.Instead, when you know you're not on top, take the opportunity to perform simpler tasks such as administrative or boring, grading or storage. We can not work well if one is constantly upset and for some tasks must be within several hours. In such situations, put the phone in silent mode or turn the meeting then never to see, close Outlook Express or another mail program. In an open-space, stick a Post-It "Do Not Disturb" for visitors arriving at your back. There are noise-canceling headphones that cancel out external noise, listen to music while working if you know it helps you concentrate. You will see that your efficiency will be at the top in your little bubble protected from the outside world. If you can, try to avoid rush hours in transit or at the company canteen or caps on the bypass. The fact you shift your schedule will reduce the stress and time lost waiting in vain. If you have to go outside, gather it to reduce travel time and place rather early or late afternoon to avoid unnecessary travel. Another tip about scheduling, it is not because you spend 12 hours a day at the office that you are effective for 12 hours. Better to be limited to 8 am truly productive and go home at night to find his family or his friends than staying in the office as a flat tire! Email is today the nightmare of many employees. You are constantly in a position to be disturbed and remain as written if you have not responded quickly enough, they will tell you that you had said in an e-mail urgent! In addition, some people tend to respond to all emails so that by the end no one knows really what's important / urgent especially when two mails from two different people contradict themselves! In short it is a real mess! 2) Create thematic files (for example projects) to archive your mail. It is important not to delete your emails and archive them for good storage. It's a bit sad to say but the emails show that you have done this or that action because you were asked and then it can serve you in meeting critical if your efficiency or your decisions. Welcome to the modern enterprise! 3) When reading emails : treat immediately to emails fast. Mails that require time and will be classified if you are afraid to forget you can switch back to the state "Unread" to see the good in your inbox. In short, good luck at work! Finally, we wish you good luck at work (and you need to face this universe boosted). 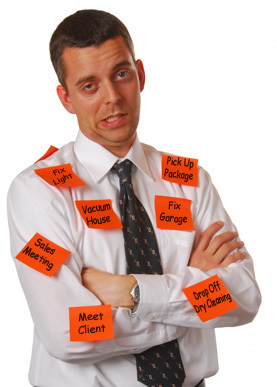 Do you stuff yourself to be more effective at work?